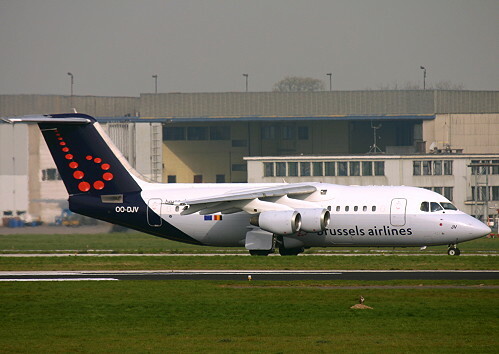 Description: this "Avro" RJ85 for DAT was delivered at Brussels on October 23 1996. 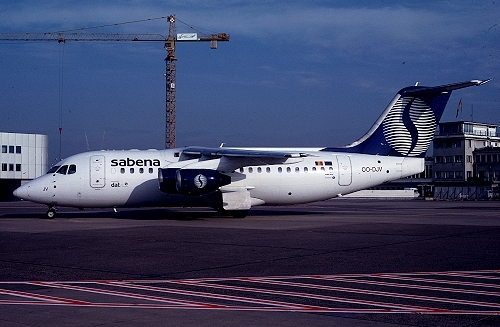 Solely operated on behalf of Sabena, it only carried the markings of the flag carrier and is depicted in the first of two color schemes. It did wear additional "Flying together with Swissair" and "operated by DAT" titles. 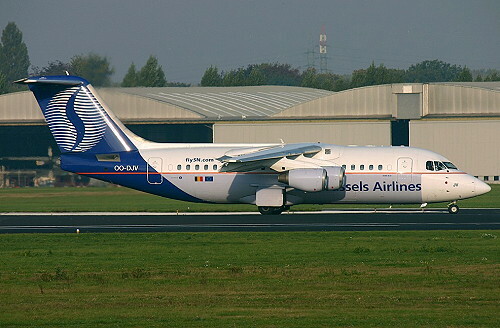 Description: in 2002, the airframe was transferred to SN Brussels Airlines and is depicted in their final color scheme which was adopted on August 21 2004. Description: the airframe went to Brussels Airlines on March 25 2007, was repainted such on March 12 2007. 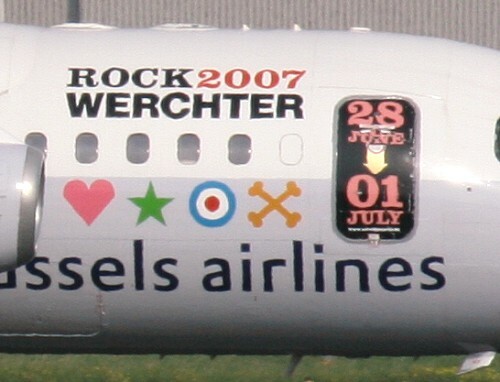 Description: the airframe wears since May 30 2007 some stickers of the Rock Festival of Werchter. Description: detail of this sticker which was removed by November 2007. On April 15 2012 it performed the final commercial flight and was ferried to Kemble eight days later on return to the lessor. It was cancelled as "G-CHHA" on June 21 2012.